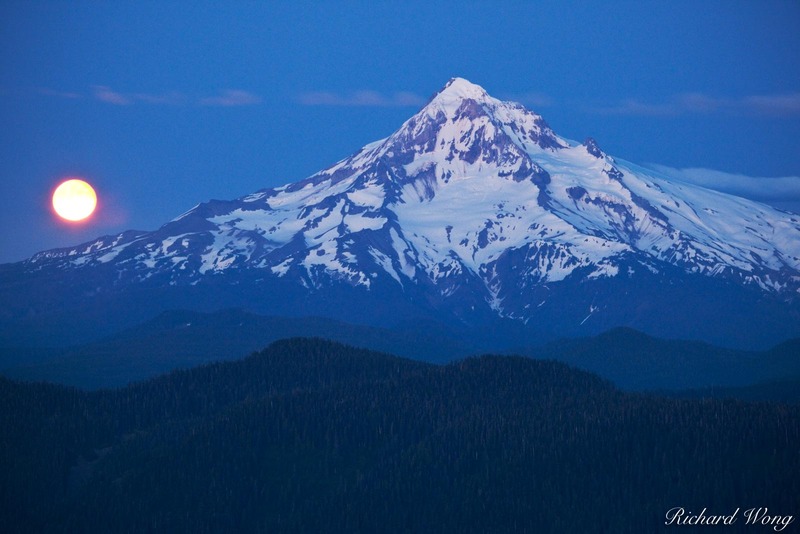 As I was about to call it a night after sunset, some local hikers recommended that I should stick around as the full moon was scheduled to rise from behind Mount Hood. I followed their advice and was treated to this memorable scene over Oregon's iconic peak. Hiking back down the mountain in the dark without a flashlight through a forest was not fun however.